Here at Hawaii Rain Gutters Honolulu, we offer the best gutter services for business and property owners in Oahu. We provide professional and high-quality artistry to those who require our services. Being the capital and the gateway of Hawaii, the city of Honolulu (its name meaning the "sheltered harbor" or "calm port") is a place many would love to live in. It also houses the major international businesses in Oahu. Since Honolulu is the center of business in the state, it also has a countless number of buildings and homes. For the most part, weather in Honolulu is typically sunny, but we still experience rain on an average of 90 days per year mostly in the winter season. We at Hawaii Rain Gutters Honolulu will make sure that you stay dry and comfortable during this season. If you have a leaking roof, you may need to get your gutters checked. Our experts are highly trained and are extremely observant when it comes to property roofing and rain gutters. We know which situations require repairs and replacements. We can also provide you with same-day estimates after your gutter consultation and inspection. ​You will be surprised with our new modern gutters. We can help you replace your old and faulty channels with our custom-cut, seamless, and leak proof gutters. Most of our customers are loving these types because these low-maintenance gutters save them a lot of money in the long run. Old gutters can be quite difficult to remove because of rust build-up and the risk of falling. You can trust our crew to get the job done in no time. If you run a business or have a very demanding career, you don't want to handle a headache and hassle of gutter replacement. If you contact us today, we can provide you with a custom replacement estimate. New Building or a New House? If you recently purchased a new business or home, we have you covered! Our modern, sleek and seamless gutters come in a variety of styles and designs you can choose from. We can custom-make them to suit your taste or your house. We also have different types of materials available. Anything from aluminum to copper, just name it, we have it! 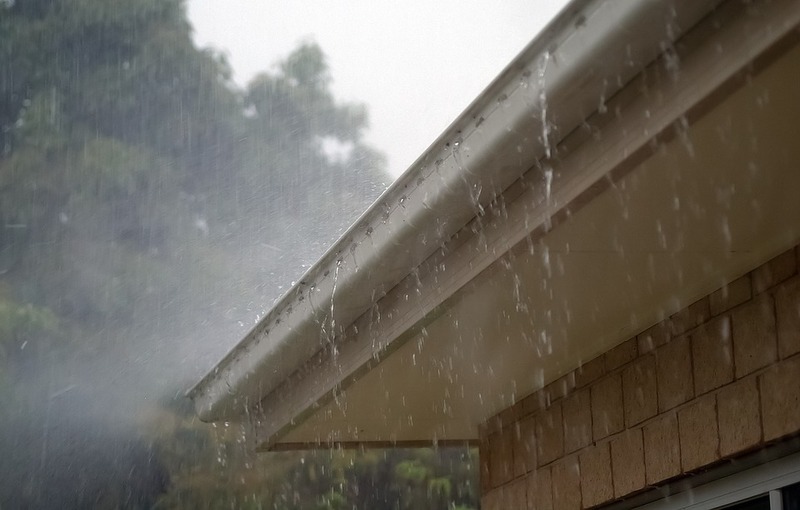 If you already have something particular in mind, contact Hawaii Rain Gutters Honolulu to get your estimate! If you have clogged downspouts, your rain gutters Honolulu system needs to be cleaning. We recommend having a gutter clean-up scheduled at least twice a year. This will help ensure that your roof channels are clog-free and the rain water can flow smoothly without the risk of diversion. If you are interested in a repair, replacement or new installation, talk to our top-quality customer service. Our team is made up of highly-trained professionals who know how to handle whatever your needs are. Each highly trained individual has exceptional interpersonal skills and is an experienced problem solver. We can guide you through the necessary steps that need to be taken to meet your expectations. Friendly and very helpful, we too make it easier for you to make the right decisions for your gutter needs. We build relationships through mutual trust and honesty. ​We value your customer satisfaction more than cutting corners to make money. Last but not least, we have a mission to uphold, and that is to be the best roof and rain gutter service provider in Hawaii. If you have any concerns that needed immediate action, we can handle it, because we offer the best rain gutters in Honolulu.